With the adult use of cannabis now legal in Canada, the quality, consistency, and safety of cannabis products is a hot topic across the nation. The Canadian Government and Health Canada continue to place a large emphasis on creating and controlling a tightly regulated supply chain that enables adults to access quality-controlled cannabis. One of the key components of this supply chain is 3rd party testing for a multitude of potential contaminants and for the cannabinoid content of the sample in question. 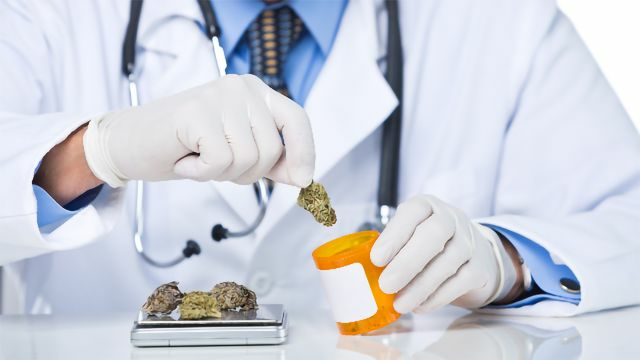 To find out more about cannabis testing in Canada we spoke to Keith Bisogno, Senior Corporate Director, Thermo Fisher Scientific, and Rob O’Brien, President & Chief Scientific Officer, Supra THC Services. Jack Rudd (JR): The cannabis industry is growing rapidly around the world. What attracted you to the Canadian cannabis market in particular? Keith Bisogno (KB): Thermo Fisher Scientific has long been a world leader in serving agricultural, food safety and environmental testing markets, with years of insight gained from working closely with industry and regulators. With updates to Canada’s cannabis laws, Thermo Fisher Scientific is supporting laboratories across this emerging sector to meet the demands to comply with safety testing standards, by using the analytical technologies our company is known for in detecting potential contaminants and analyzing complex materials. JR: What do you see as the biggest challenges for the cannabis testing industry in Canada? 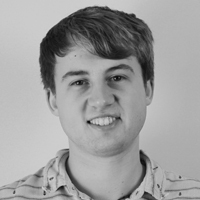 KB: Initially, third-party laboratory test reliability, capacity and throughput will be stretched so it will be important that workflows are robust, and automation is part of the upfront planning. Cannabis materials can be challenging to work with. The sticky nature of the plant’s resin and other cannabis materials can disrupt laboratory instruments, resulting in unexpected downtime and unplanned outages. Without careful and consistent sample preparation, vigilant monitoring of system performance and regular maintenance of equipment, workflows can be significantly impacted. Thermo Fisher Scientific’s leading instruments and software capabilities provide complete workflow solutions, purposefully designed to make safety testing routine for busy laboratories. JR: What partnerships and collaborations do you have in the Canadian cannabis space and what are they working on? KB: Thermo Fisher Scientific has worked closely with government regulators, industry and academia for many years, especially across the life sciences, pharmaceutical, food, agriculture and environmental analysis. Thermo Fisher Scientific’s broad and deep connections are a strong foundation for working with the licensed testing laboratories and producers in Canada looking to meet rigorous safety testing standards. Rob O’Brien: Cannabis safety compliance testing requires advanced instrumentation, expert support and highly qualified personnel. With the financial backing of Valens GroWorks (VGW:CSE), the Supra THC team was able to purchase sector-leading instrumentation from Thermo Fisher Scientific, enabling us to offer not only a full suite of testing and analytical services for Canada’s cannabis industry, but also to meet the challenge of increased regulation and scrutiny in the future. 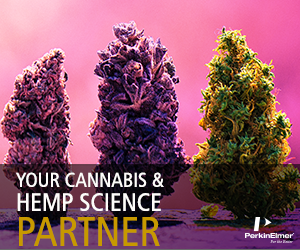 Our collaboration helps to accelerate the development of methods and new analytical approaches to meet the needs of cannabis researchers. JR: Will you be doing any cannabis testing-specific R&D and product development? KB: There is growing interest to adopt analytical devices and easy-to-use screening tools within cultivation sites or on-site QA/QC labs where early detection and intervention can reduce the risk of mold and other contamination occurring, protecting the producer from a decrease in crop yield or financial loss. Many licensed producers are keen to maintain strict growing conditions to produce consistent products, where more frequent testing is desired on-site instead of being sent out to 3rd party contractors for analysis, which ranges from plant profiling to terpenes analysis to potency testing. Thermo Fisher Scientific is committed to investing in R&D on a large scale–reaching $1 billion of investment annually–to push technology to the next level. We are creating products that customers use to analyze, detect, discover and diagnose. Food and agriculture safety testing and analysis is an area that relates to the emerging cannabis sector in Canada in many ways, so Thermo Fisher Scientific will continue to offer a vast portfolio of ever-improving workflows and technology that will help laboratories ensure they are able to comply with quality and safety standards. On research and innovation, Thermo Fisher Scientific believes in the strength of its capabilities to serve science with everything from next generation sequencing to the most powerful mass spectrometers with cloud-connected software solutions capable of harnessing unparalleled data. Keith Bisogno & Rob O’Brien were speaking to Jack Rudd, Managing Editor for Analytical Cannabis.